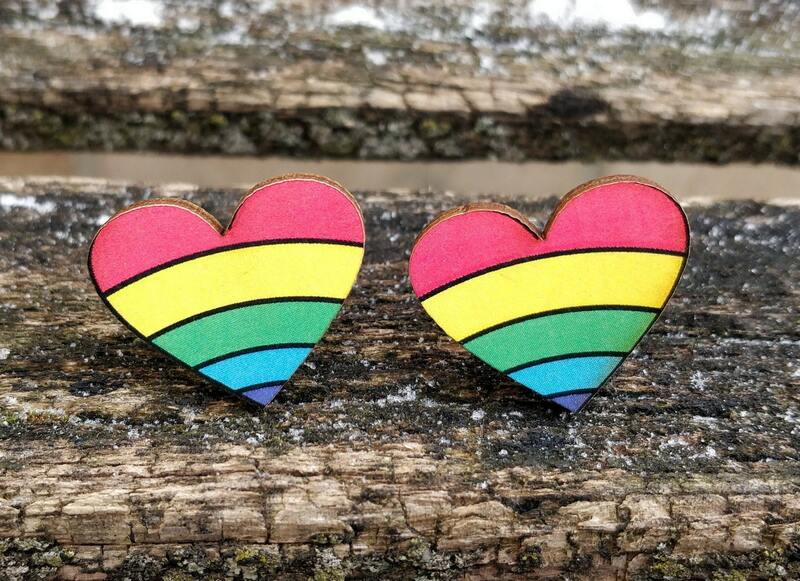 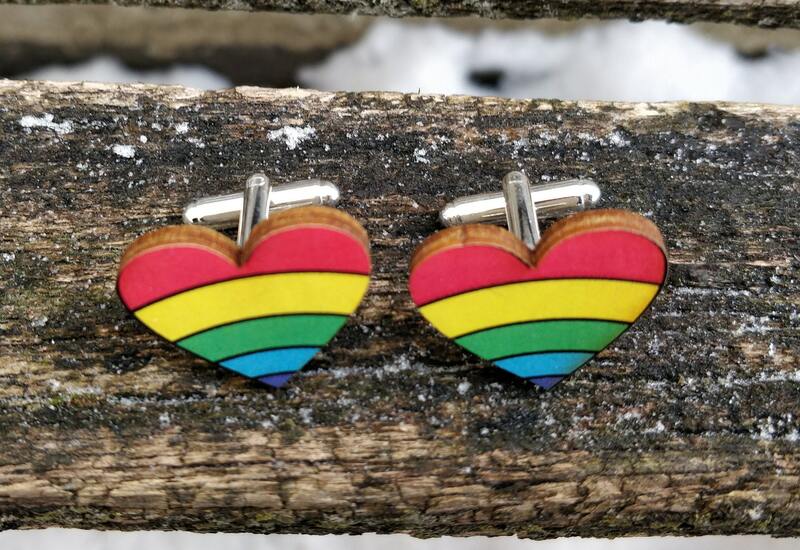 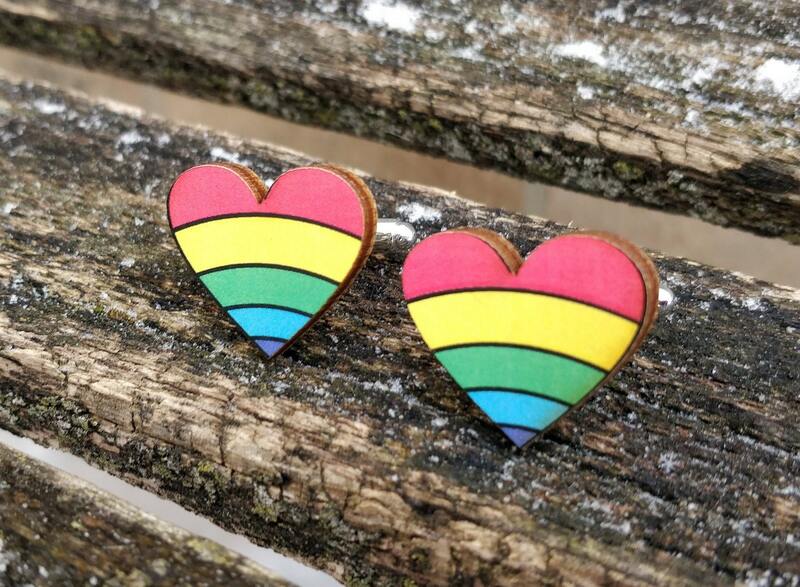 These rainbow heart cufflinks are so cute! 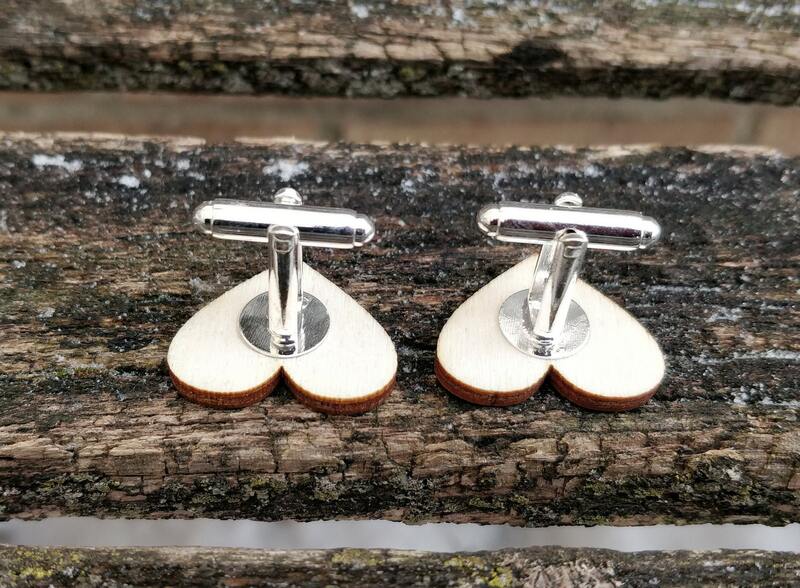 They're made from wood with a paper coated front. 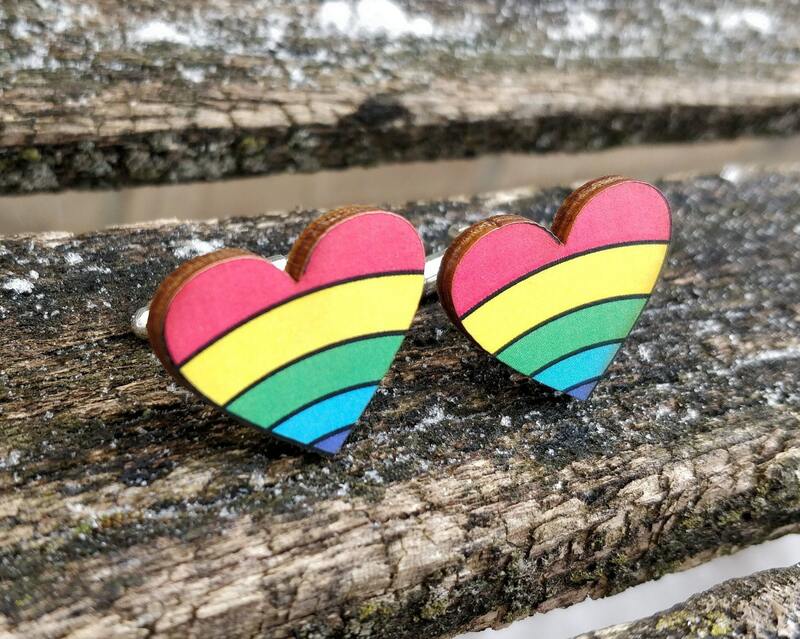 They measure just under 1" across.